'Mario Kart' Speed Skating Is Just Bananas - trendistic.com: ever tried. ever failed. no matter. try again. fail again. fail better. Speed skating just became a lot more dangerous. 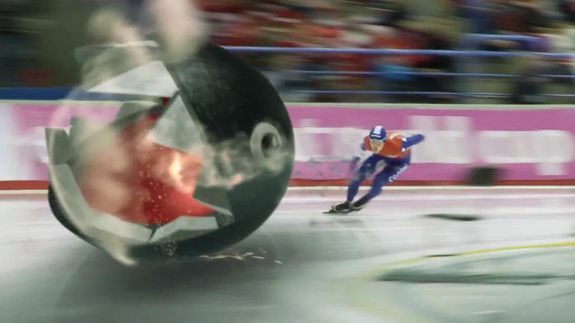 Comedian Michael Shanks imagined what the fastest winter sport on ice would look like if there were just a few more green shells involved. In his vision, the skaters use a host of Mario Kart-inspired power-ups, including bananas, Chain Chomp, the thunderbolt and the infamous blue shell. The sport might have a few more fans if the thrill of annihilation by the blue shell was a factor. Until then, we’ll just have to wait for the year they combine speed skating and curling.